Is your small business website failing to get you the sales or attention you want? If this is the case, contact Local Web Designs for help you need to get on track! If you are unhappy with the number of customers you are getting from your website, it’s not necessarily the fault of the website. The problem generally lays with your lack of solid web presence. This web presence is a much larger thing than just your website, but your website is a part of it. This is where Search Engine Optimization (SEO) comes in to play and why we are here! We are experts at getting your website noticed. We can help get your website in front of the people you want to target. 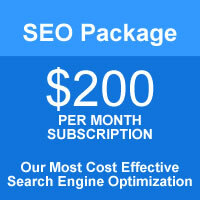 We use “White Hat” SEO methods, sometimes called “Ethical SEO” or what Google calls “Organic SEO”. This method is used by those who intend to improve their search performance on Search Engine Results Pages (SERPs) while maintaining the integrity of their website. It is a much more stable and enduring approach. You’ve spent a lot of time and effort building your brand. So now, when it comes to establishing and expanding your online presence for your business, and improving your bottom line, you need more than a one-shot effort at SEO – you need a partner to help you get to and stay on top. You need someone who cares as much about the success and profitability of your business as you do. Someone who’s in it for the long haul. When you choose monthly search engine optimization services, you’re forging an ongoing relationship designed to improve your brand visibility and to help you continually attract new customers. Like most exceptional things in life, a winning SEO strategy isn’t created overnight. It’s the result of a lot of dedicated work, planning and patience. We can’t promise our search engine optimization services will instantly catapult your website to the top, but we can promise to dedicate our time, skills, and hard work to helping you set and meet realistic and measurable SEO goals. (a $59/mth value included FREE!). * WordPress core files updated. * Updates to themes, and all plugins. * Peridoic malware and viruse scans. * Security tightened and monitored. Visit: Monthly Maintenance Plan for more information!